I was born when my mom was pretty young. Ten years and a whole lot of ridiculousness passed and my mom had another kid--my little sister. Another ten years and even more ridiculousness passed and my mom had another kid--my baby brother. These two kids account for half of my siblings (my dad also got into some ridiculousness as well and produced my little twin sisters) and three decades of my mom's life. Every time one of us started growing out of childhood, my mom made another kid which means that for thirty years she has been Santa. She has been the Easter Bunny. She's been the homework helper, the shoulder to cry on, the taxi service to play rehearsal or academic team or little league. And you know what? For thirty years, she's been amazing at that stuff. She loves it. This year my little brother is finally growing out of his childhood and into tween-ness and for the first time in thirty years my mom won't be Santa or the Easter Bunny. But she'll still be there for all three of us in all of the unique ways that we need her to be. This is one of my all time favorite TOS episodes. Amanda Greyson and Sarek--Spock's parents--show up on the Enterprise and cause all kinds of under-the-surface-emotional-trauma for Spock. Amanda is such an interesting character all by herself. She's a human, married to a Vulcan ambassador and has taken up the Vulcan ways even though it's clear Vulcan's have a somewhat disdainful (read: xenophobic) attitude toward humans. She's not only married into this completely non-emotional culture but produced a son who also follows the Vulcan path and her handling of these stoic men is really nicely done. 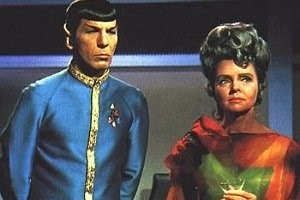 This is one of the first episodes of TOS I remember watching as a kid. It totally blew my little kid mind and, when it first aired, The Horta became an instant part of classic Trek. Beverly is totally ship mom on Picard's Enterprise. She mothers practically everyone but especially her actual kid, Wesley. In "Remember Me" she realizes the Enterprise crew is slowly vanishing but no one can even remember them existing. Its an effectively creepy, quiet episode which grows more claustrophobic and strange as the story moves along. Finally, Beverly realizes the key to her survival is her connection to her son. I'm not sure exactly when we learn that Worf was raised by human parents. Seems like it's pretty early on. But it's not until after the Borg attack in Season Three that we get to see them and Helena Rozhenko is a force to be reckoned with. It couldn't have been easy raising a Klingon child in a human culture and Helena talks about the struggles that a lot of adoptive parents face. 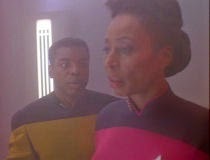 Here, Geordi gets word that his mom's ship has gone missing. Right around this time, he's also checking out the possibilities/limitations of a virtual reality probe and hears his mother's voice calling to him from a wrecked ship within a gas giant. Convinced that his mother is still alive, he takes the probe's interface system into dangerous territory to find and save her. This one deals as much with the loss and letting go of one's mom as anything else and, for that reason, it's bitter sweet. It's also perfectly played by LeVar Burton. I loved Kasidy Yates and her relationship with Jake was great. She's an excellent example of a step-mom-gone-right. But, like a lot of DS9, her character development was a slow progression. It's hard to point to a single episode that showcases their relationship. So, instead, I picked two that exemplify Kasidy's greatness as a character and a woman. "For The Cause" shows Kasidy standing up for her ethics even when it means losing the people she loved. "Take Me Out To The Holosuite" shows her taking on the Vulcans in a game of baseball right along with Jake and Ben. I'm not gonna lie, this is not a fun episode to watch. That being said, this is a mighty good one. On the anniversary of Kira's mom's birthday, Gul Dukat spills the beans to her about her mom's true fate in the Bajoran Occupation. When she doesn't believe him, she uses a Bajoran orb to find the truth and the truth isn't pretty. Still, what Kira's mother did for her family is incredible and her sacrifice is exemplary of the power of a mother's love for her children. 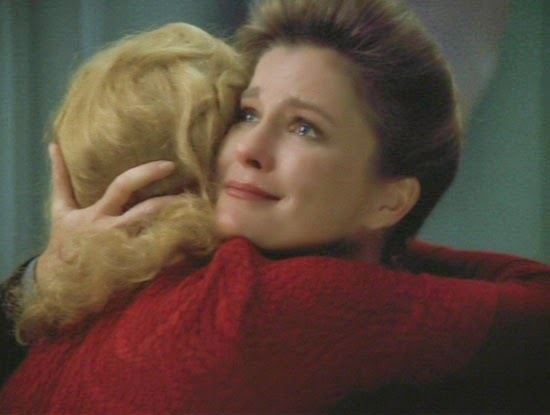 Janeway is a super mom. She moms everyone around her all day and all night and all day. She moms the hell out of this show for seven years and I love every bit of it. Of course, she's especially mom-ish to Kes and Seven. Her goodbye to Kes in "The Gift" is absolutely beautiful and her relationship with Seven is wonderfully showcased in "Think Tank" "Year Of Hell" and "Hope And Fear." 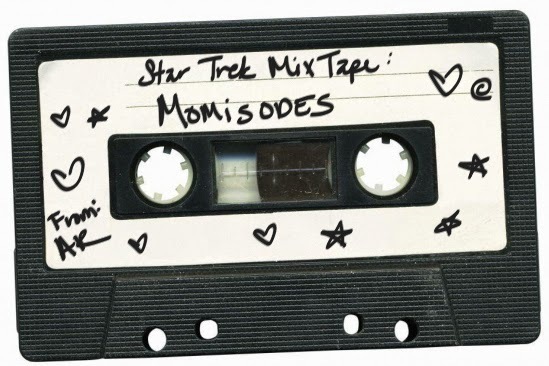 T'Pol's mom has a pretty rough exterior but she truly cares for her daughter and these episodes show us a mother with both a clear understanding of her own ethics and a deep love for her daughter. Again, Vulcan's aren't great at having/showing their feelings so any time you get into these complex "non-emotions" you're getting what Trek does best. 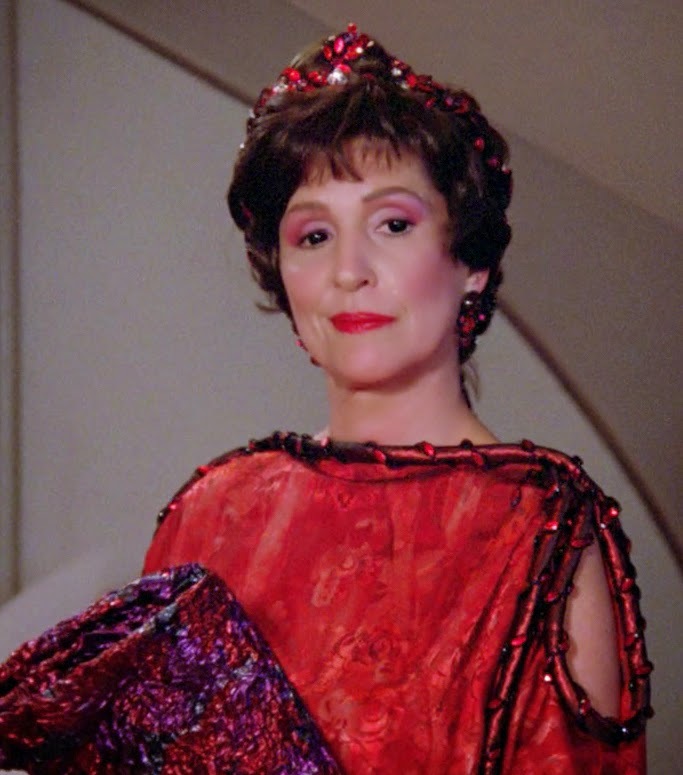 BONUS: All of Lwaxana in all of TNG. Good choices …there was indeed a wide range of maternal figures. A few others that come to mind: Marie Picard-- hospitable, traditional mother of Rene. Samantha Wildman-- Naomi’s mother, also an engineer. Keiko O’Brien-- dedicated botanist and mother of 2 daughters. K’Ehleyr-- non-conformist, half- Klingon single mother of Alexander. Moogie (Ishka)-- enterprising, defying convention but devoted to Quark and Rom. It's true! I had a hard time limiting it to just these episodes. I can't believe I didn't include Moogie and K'Ehleyr! I LOVE those two! "Niners" is actually "Take Me Out to the Holosuite." Thanks Brian, it's fixed now. You'd think I'd remember that after writing an entire post about the episode last year. I know you said Janeway mom'd everyone but I think B'Elanna should be included with Kes and Seven. Between Extreme Risk and Barge of the Dead, the feisty Klingon definitely cements her role as defiant yet lovable daughter.